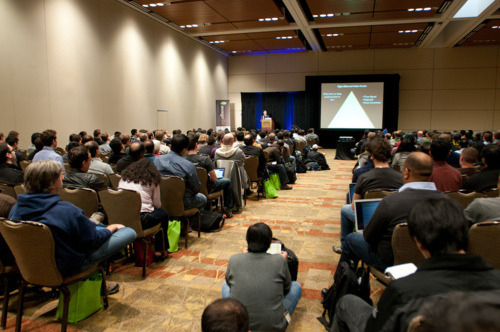 Last week over 1,100 developers came together for MongoSV, the largest MongoDB conference to date. 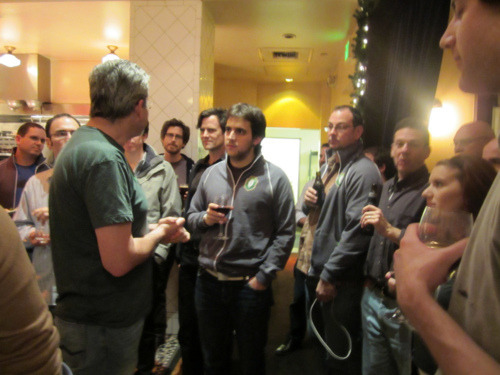 10gen kicked off MongoSV with our inaugural MongoDB Masters program, which brought together MongoDB evangelists from around the world. The MongoDB development team is pleased to announce the release of version 2.0.0. Version 2.0 is the latest stable release, following the March 2011 release of version 1.8. This release includes many new features, improvements to existing features, and performance enhancements. Please note version 2.0 is a significant new release, but is 2.0 solely because 1.8 + 0.2 = 2.0; for example the upgrade from 1.6 to 1.8 was similar in scope. Journaling is now enabled by default. Journal files are now compressed. Concurrency improvements in 2.0 are just the start of a much larger concurrency roadmap we are working on. In 2.0, we are beginning to address one of the biggest issues: holding locks during a page fault. 2.0 tracks memory caching and has the ability to yield locks and fault outside. This is hooked in a number places, notably: updates by _id, remove, and long table scans. Being able to keep the working index set in memory is an important factor in overall performance, and we overhauled indexes to make this easier. Indexes in 2.0 are about 25% smaller and faster, meaning that you can fit more in memory. Replica sets get two new important features in 2.0: priorities and tagging. Priorities let you have nodes that you prefer to be primary if you have a non homogeneous environment. Tagging lets you guarantee writes hit certain groups of servers. One use case for this is guaranteeing a new user registration is written to two data centers before acknowledging to a user. There were many other improvements, so we encourage those interested to look at the change log. Overall, this release added a large number of small performance and concurrency improvements, greater stability to sharding, and better replica set operations. For the full scoop on what’s new in MongoDB version 2.0, register for our live webinar on Thursday, September 15th. We will have two sessions: the first at 10am GMT, and another at 1:30pm ET/10:30am PT. Thank you to the MongoDB community for your continued feedback and testing through the 1.9 development series. The state of Ruby and MongoDB is strong. In this post, I’d like to describe some of the recent developments in the Ruby driver and provide a few notes on Rails and the object mappers in particular. We just released v1.2 of the MongoDB Ruby driver. This release is stable and supports all the latest features of MongoDB. If you haven’t been paying attention to the driver’s development, the Cliff’s Notes are below. (Note that if you’re an using older version of the driver, you owe it to your app to upgrade). If you’re totally new to the driver, you may want to read Ethan’s Gunderson’s excellent post introducing it before continuing on. There are now two connection classes: <a href="http://api.mongodb.org/ruby/current/Mongo/Connection.html" title="Connection class docs">Connection</a> and <a href="http://api.mongodb.org/ruby/current/Mongo/ReplSetConnection.html" title="ReplSetConnection class docs">ReplSetConnection</a>. The first simply creates a connection to a single node, primary or secondary. But you probably already knew that. The ReplSetConnection class is brand new. It has a slightly different API and must be used when connecting to a replica set. To connect, initialize the ReplSetConnection with a set of seed nodes followed by any connection options. You can pass the replica set’s name as a kind of sanity check, ensuring that each node connected to is part of the same replica set. If you’re running replica sets (and why wouldn’t you be? ), then you’ll first want to make sure you connect with the ReplSetConnection class. Why? Because this class facilitates discovery, automatic failover, and read distribution. Discovery is the process of finding the nodes of a set and determining their roles. When you pass a set of seed nodes to the ReplSetConnection class, you may now know which is the primary node. The driver will find that node and ensure that all writes are sent to it. In addition, the driver will discover any other nodes not specified as seeds and then cache those for failover and, optionally, read distribution. Failover works like this. Your application is humming along when, for whatever reason, the primary member of the replica set goes down. So subsequent operations will fail, and the driver will raise the Mongo::ConnectionFailure exception until the replica set has successfully elected a new primary. We’ve decided that connection failures shouldn’t be handled automatically by the driver. However, it’s not hard to achieve the oft-sought seamless failover. You simply need to make sure that 1) all writes use safe mode and 2) that all operations are wrapped in a rescue block. Details on just how to do that can be found in the replica set docs. Finally, we should mention read distribution. For certain read-heavy applications, it’s useful to distribute the read load to a number of slave nodes, and the driver now facilitates this. With :read_secondary => true, the connection will send all reads to an arbitrary secondary node. When running Ruby in production, where you’ll have a whole bunch of Thins and Mongrels or forked workers (à la Unicorn and Phusion), you should get a good distribution of reads across secondaries. Now, the insert will still use safe mode with w equal to 3, but it inherits this setting through the @con, @db, and @collection objects. A few more details on this can be found in the write concern docs. One of the most exciting advances in the last few months is the driver’s special support for JRuby. Essentially, when you run the driver on JRuby, the BSON library uses a Java-based serializer, guaranteeing the best performance for the platform. One of the big advantages to running on JRuby is its support for native threads. So if you’re building multi-threaded apps, you may want to take advantage of the driver’s built-in connection pooling. Whether you’re creating a standard connection or a replica set connection, simply pass in a size and timeout for the thread pool, and you’re good to go. Another relevant feature that’s slated for the next month is an asynchronous facade for the driver that uses the reactor pattern. (This has been spearheaded, and is in fact used in production, by Chuck Remes. Thanks, Chuck!). You can track progress at the async branch. Finally, a word about Rails and object mappers. If you’re a Rails user, then there’s a good chance that you don’t use the Ruby driver directly at all. Instead, you probably use one of the available object mappers. The object mappers can be a great help, but do be careful. We’ve seen a number of users get burned because they don’t understand the data model being created. So the biggest piece of advice is to understand the underlying representation being built out by your object mapper. It’s all too easy to abuse the nice abstractions provided by the OMs to create unwieldy, inefficient mega-documents down below. Caveat programator. That said, I get a lot of questions about which OM to use. Now, if you understand how the OM actually works, then it really shouldn’t matter which one you use. But not everyone has the time to dig into these code bases. So when I do recommend one, I recommend MongoMapper. This is, admittedly, a bit of an aesthetic judgment, but I like the API and have found the software to be simple and reliable. Long-awaited docs for the projects are imminent, and we’ll tweet about them once they’re available. If you want to know more about the Ruby driver, tune in to next week’s Ruby driver webcast, where I’ll talk about everything in the post, plus some. Finally, a big thanks to all those who have contributed to the driver, to the object mapper authors, and the all users of MongoDB with Ruby. Visit the more recent post, Getting Started with VMware Cloud Foundry, MongoDB, and Node.js. 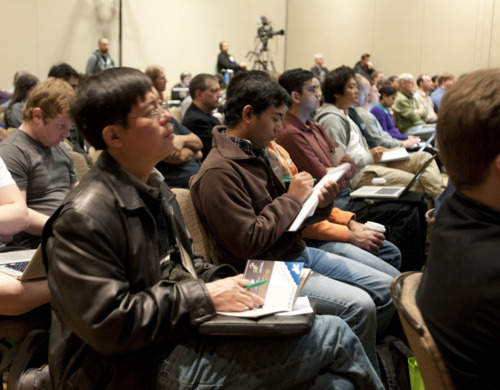 Listen to the recorded Node.js Panel Discussion webinar. Node.js is turning out to be a framework of choice for building real-time applications of all kinds, from analytics systems to chat servers to location-based tracking services. If you’re still new to Node, check out Simon Willison’s excellent introductory post. 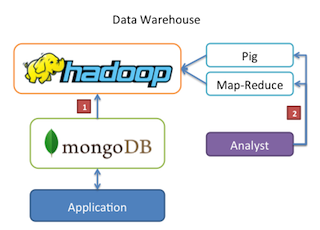 If you’re already using Node, you probably need a database, and you just might have considered using MongoDB. Need a real-world example? Check out Hummingbird, Michael Nutt’s real-time analytics app. 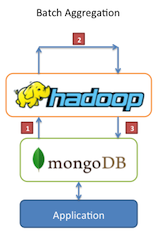 It’s built on top of MongoDB using Node.js and the mongodb-node-native driver. Hummingbird, which is used in production at Gilt Groupe, brings together an impressive array of technologies; it uses the express.js Node.js app framework and sports a responsive interface with the help of web sockets. Definitely worth checking out. All of this just to show that the MongoDB/Node.js ecosystem thrives. If you need a good excuse to jump into Node.js or MongoDB development, be sure to check out next month's Node Knockout. 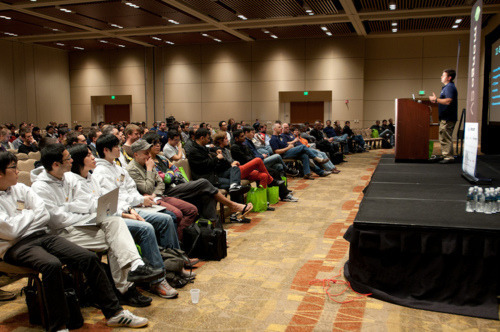 It’s a weekend app competition for teams up to four, and registration is now open. The MongoDB team is very excited to announce the release of MongoDB 1.4.0. This is the culmination of 3 months of work in the 1.3 branch and has a large number of very important changes. Many users have been running 1.3 in production, so this release is already very thoroghly vetted both by our regressions systems and by real users. 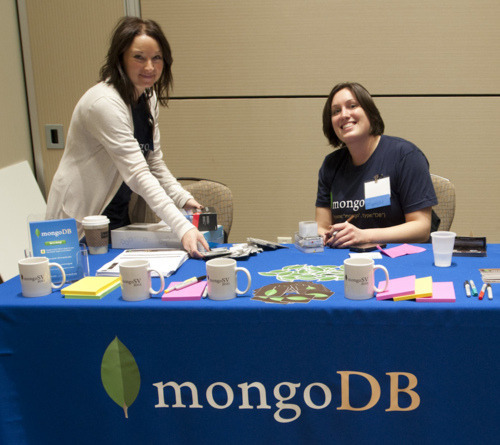 Thanks for all your continued support, and we hope MongoDB 1.4 works great for you. We term this a “partial object update”: we updated the value of X without sending a full row update to the server. Seems like a very simple thing to be discussing, yet some nosql solutions do not support this (others do). 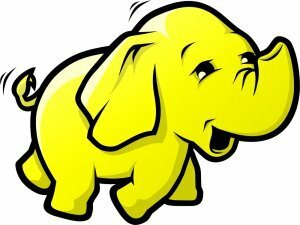 In these new datastores, the average stored object size (whether it be a document, a key/value blob, or a row) tends to be larger than the traditional database row. The data is not fully normalized, so we are packing more data into a single storage object than before. This means the cost of full updates is higher. If we have a 100KB document and want to set a single value within it, passing the full 100KB in both directions over the network for the operation is expensive. MongoDB supports partial updates in its update operation via a set of special $ operators: $inc, $set, $push, etc. More of these operators will be added in the future. There are further benefits to the technique too. First, we get easy (single document) atomicity for these operations (consider $inc). Second, replication is made cheaper: when a partial update occurs, MongoDB replicates the partial update rather than the full object changed. This makes replication much less expensive and network intensive. A prebuilt binary for Joyent (labeled “Solaris64”) is now available on the mongodb.org downloads page. See http://www.mongodb.org/display/DOCS/Joyent for more information including an example of installation.